Monthly Roundtable Meetings will resume on Thursday, August 3rd. Meetings will be the first Thursday of the month at Southminster Presbyterian (1124 Montgomery Hwy, Vestavia Hills, AL 35216) from 6:30pm to 8:00pm. All leaders are invited to attend. We will have announcements and flyers for upcoming events/activities, discuss various topics, and learn what other units are doing to make a fun quality program for the boys. Cubs will get a preview of the Lion Cub program that will be a new feature for all units this fall. Contact Bill Cather, Boy Scout Roundtable Commissioner or Shannon Curlings, Cub Scouts Roundtable Commissioner for more information. 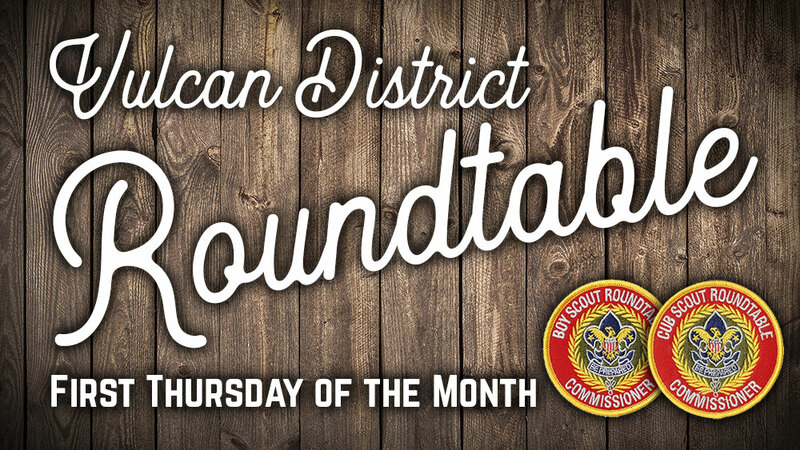 Roundtable is open to all Boy Scout and Cub scout leaders. You do not have to be a registered leader to attend.